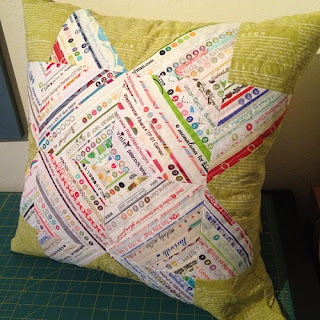 Cute cushions to make for the kids. 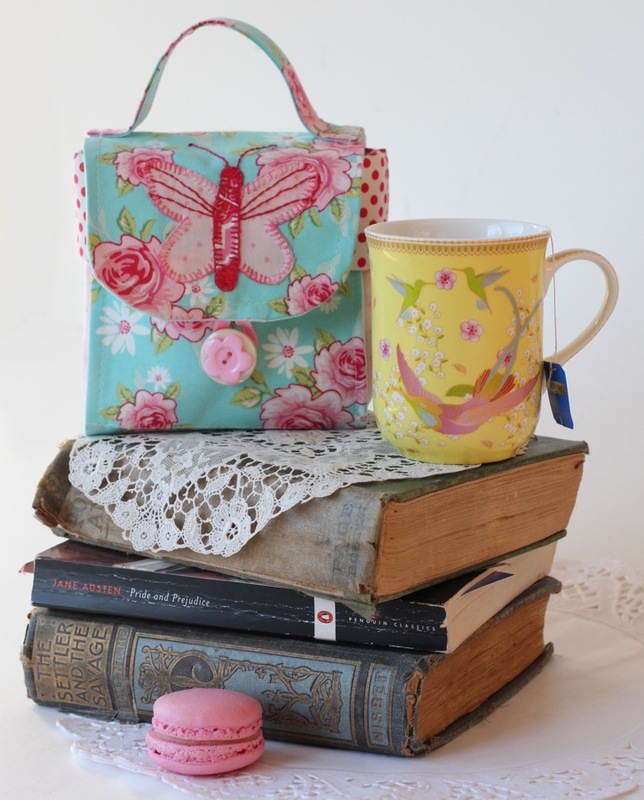 Red Brolly is sharing the pattern for her extra cute mug bag. 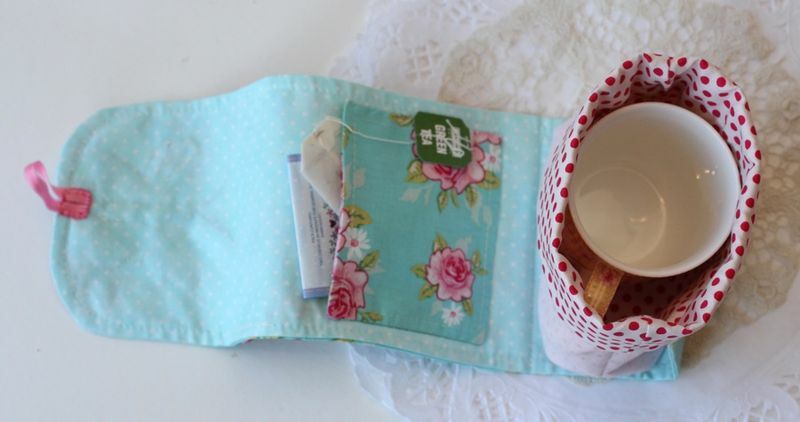 A little pocket for your tea and sugar. 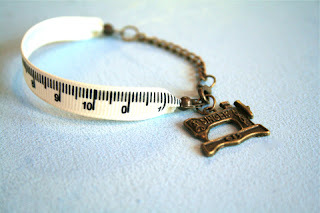 Laura from Goodnight Boutique shares her simple tutorial on how she makes this cute tape measure bracelet. 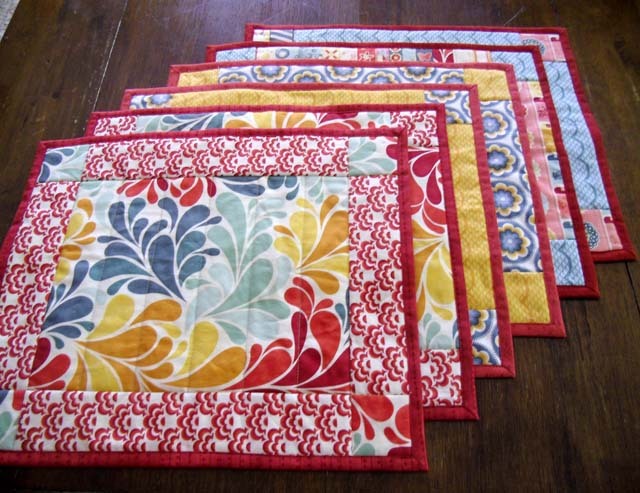 Make six easy place-mats using six different fat quarters with left over for a table-runner. 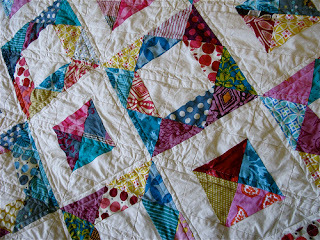 Julie from The Crafter Quilter also shows how she does easy mitered corners on them. 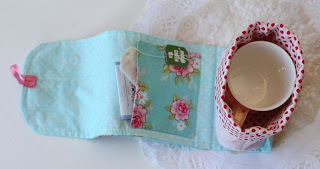 Julie also has other tutorials on her blog she is sharing too.